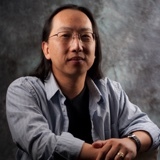 By Carl Slaughter: Debut author Curtis Chen is a Clarion graduate and has studied under Ursula Le Guin, James Patrick Kelly, John Crowley, and John Scalzi. His 2016 short stories have been published in Andromeda Spaceways Magazine and Daily Science Fiction. 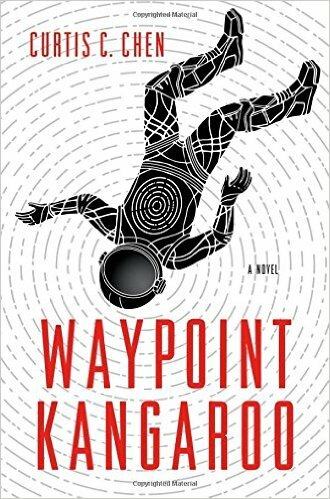 Waypoint Kangaroo came out in June. The sequel, Kangaroo Too, is set for the summer of 2017. On the way home from his latest mission, secret agent Kangaroo’s spacecraft is wrecked by a rogue mining robot. The agency tracks the bot back to the Moon, where a retired asteroid miner — code named “Clementine” — might have information about who’s behind the sabotage. This entry was posted in Like Show Business and tagged Carl Slaughter, Curtis Chen by Mike Glyer. Bookmark the permalink. I finally got the audiobook of book 1 recently (I know, I’m behind already!). I haven’t started it yet (I’m listening to some Tor.com novellas), but this’ll probably be my next audiobook or the one after that. 🙂 I’m looking forward to it.